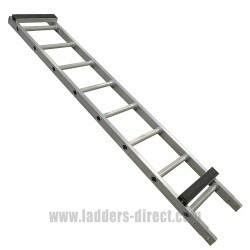 The Clow Aluminium Roof Ladder is manufactured from light rectangular aluminium alloy with broad oval rungs at a 30° slope to allow a comfortable and safe foothold. The Clow Aluminium Roof Ladder inc. Steel Ridge Hook and Wheels is manufactured from light rectangular aluminium alloy with broad oval rungs at a 30° slope to allow a comfortable and safe foothold. Underneath the stiles are aluminium bearers covered in rubber to ensure maximum depth in the interest of safety. 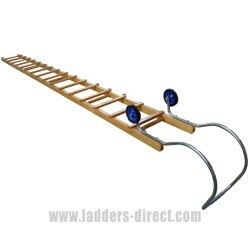 All roof ladders are fitted with strong curved ridge hook and rubber tyred wheels as standard. 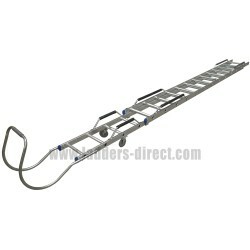 Replacement Steel Ridge Hooks and Wheels can also be purchased seperately for these ladders. 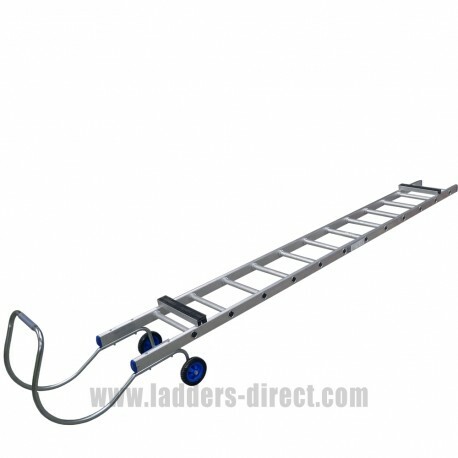 The Clow Aluminium Roof Ladder can be extended by means of fixed length extension pieces which can be fitted to the bottom of the ladder once the rubber bungs at the base of the ladder are removed. 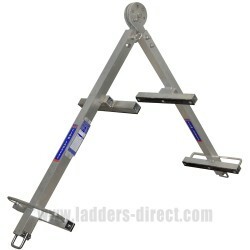 For example, a 14′ ladder can be extended to 20’6” by the addition of a 6’6” extension piece. The extension pieces are available in three sizes – 3’3”, 6’6” and 9’9”. Please see additional product ORE for more information. If you require to order separate Ridge Hooks please order product SRH Steel Ridge Hook and Wheels for Clow Aluminium Roof Ladder.